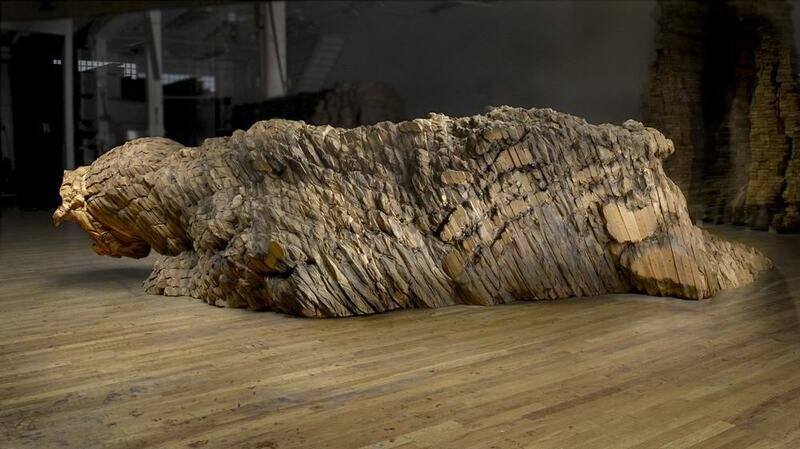 Ursula von Rydingsvard is perhaps one of the most recognized sculptors working today. 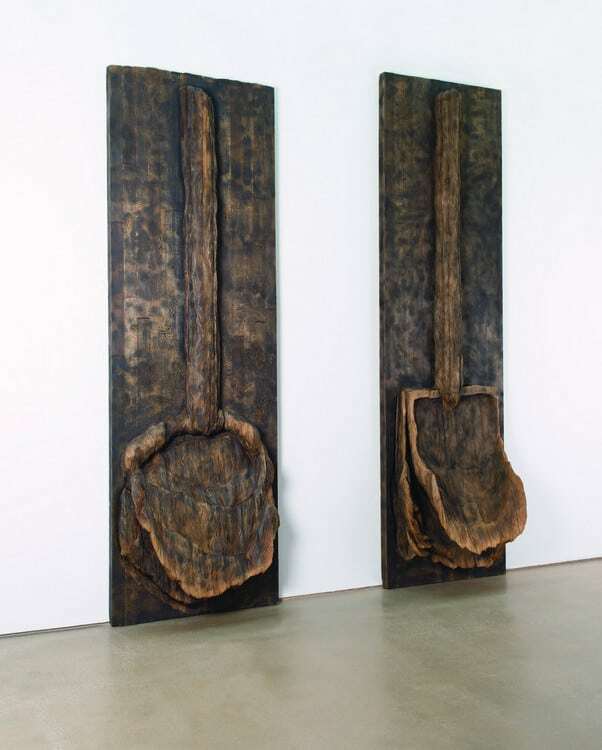 Her monumental creations, often made from hundreds—even thousands—of small pieces of wood have been shown at the Venice Biennale and at Storm King Art Center in upstate New York, and she has recently completed a commission for the Princeton University campus. But her early life in no way predicted her future accomplishments. Born in Germany in 1942, she spent her first eight years in refugee camps and her early childhood in rural Connecticut. 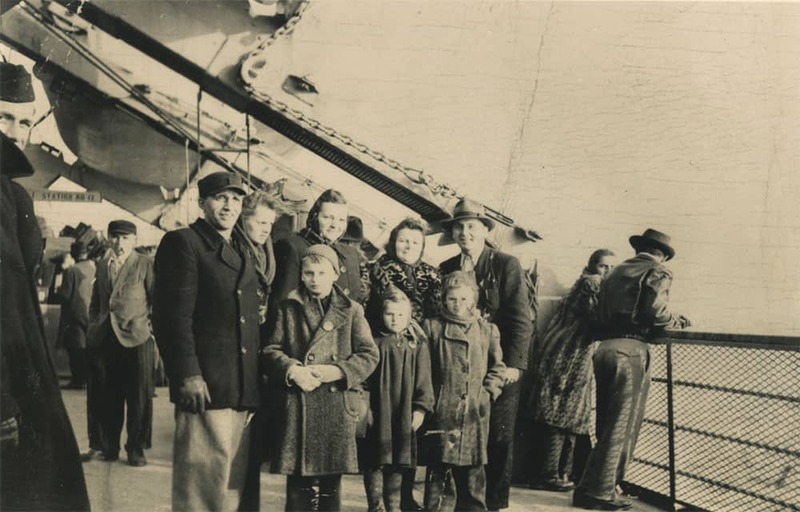 The von Rydingsvard family en route to the U.S. from Germany, 1950. Ursula is the girl in the front row, far right, with her hand in her pocket. Droga (2009), cedar, graphite, 4 ft. 6 in. by 9 ft. 7 in. by 18 ft. 3 in. Echo and Sunken Shadow (2011), cedar, graphite. 13 ft. 4 in. by 3 ft. 10 in. by 1 ft. 9 in. (Echo) ; 12 ft. 8 in. 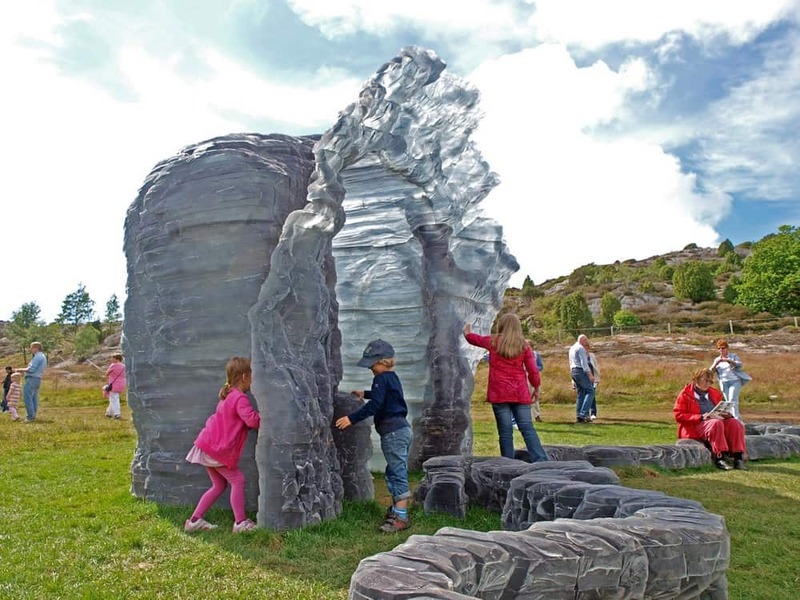 x 4 ft. ½ in. x 1 ft. 6 in. (Sunken Shadow). Bronze Bowl with Lace (2014). 19 ft. 6 in. by 9 ft. 6 in. by 10 ft. 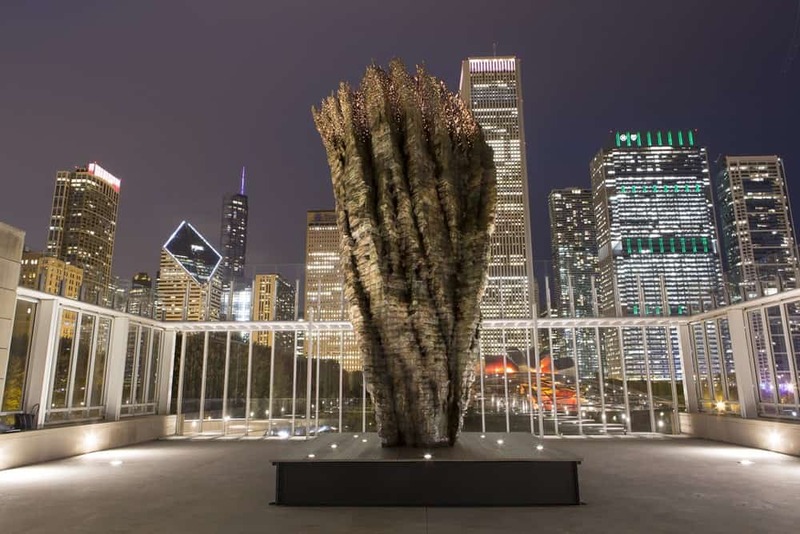 Installation view, the Art Institute of Chicago, October 8, 2015-April 24, 2016. 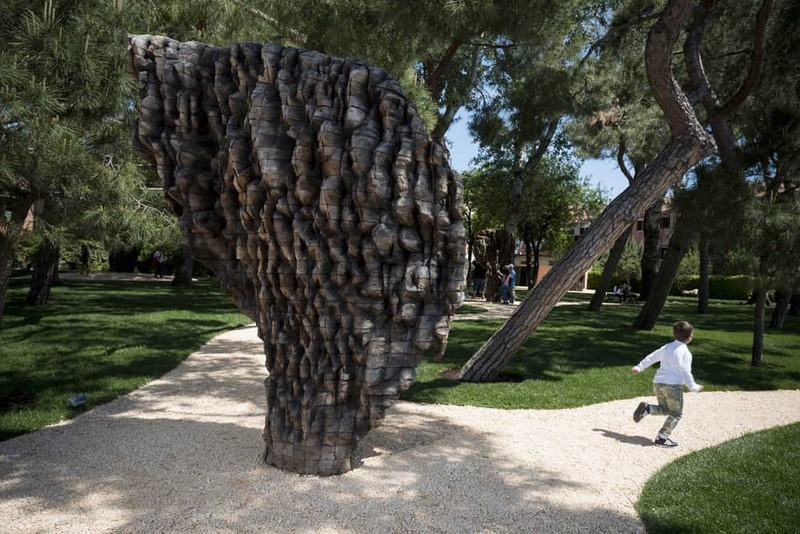 Ursula von Rydingsvard: Giardino della Marinaressa (UVR_VERSION) from Itinerant Pictures on Vimeo. Photo credits: Peter Lennby (Damski Czepek); Michael Bodycomb (Droga); Jonty Wilde (Echo and Sunken Shadow, detail of Bronze Bowl with Lace, and Scratch). A beautiful interview with an incredible artist! Thank you! Thank you Ann for this, Ursula has been a favorite artist and inspiration for many years. 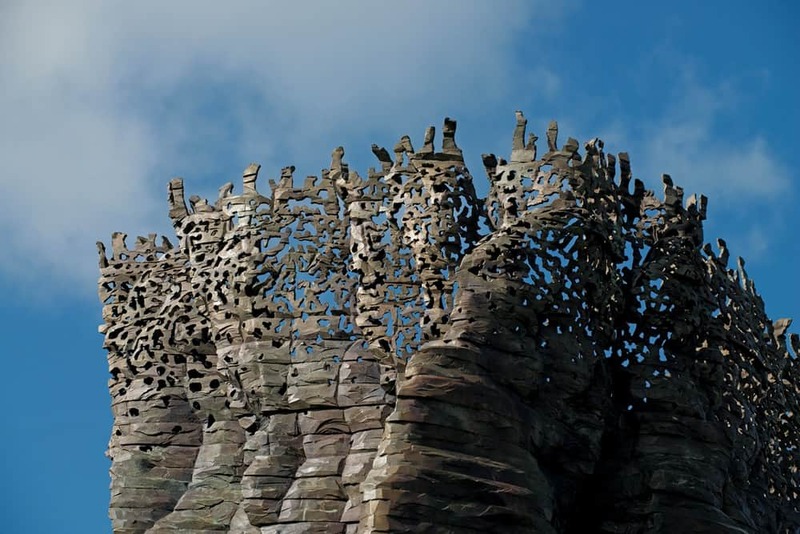 Interesting artist, informative interview, great job Ann! I saw the work in Venice and fell in love with them all. Thanks for this interview! Ursala, we just met at your amazing exhibition at the Fabric Workshop in Philadelphia. I just watched this video and listened to the podcast you did with Ann Landi. We have some connections. I too began at the University of NH, and then to the University of Miami. It wasn’t until I was in my 40’s and began the MFA program at RISD that I was able to begin my journey as an artist. I am in awe of you and your work. And I thank Ann Landi for making this connection. She is wonderful all around and always been an inspiration to me.